This past weekend Greta Van Fleet performed two songs on Saturday Night Live. Greta Van Fleet’s new album “Anthem Of The Peaceful Army” is out now and follows the band’s two EP releases, Black Smoke Rising and From The Fires. Click here to see Baby Huey’s recap of Greta Van Fleet’s performance at The Masonic in San Francisco. Click here to see Baby Huey’s recap of Greta Van Fleet’s performance at the 2017 Aftershock Festival. Watch Greta Van Fleet perform “Black Smoke Rising” on Saturday Night Live. Watch Greta Van Fleet perform “You’re The One” on Saturday Night Live. 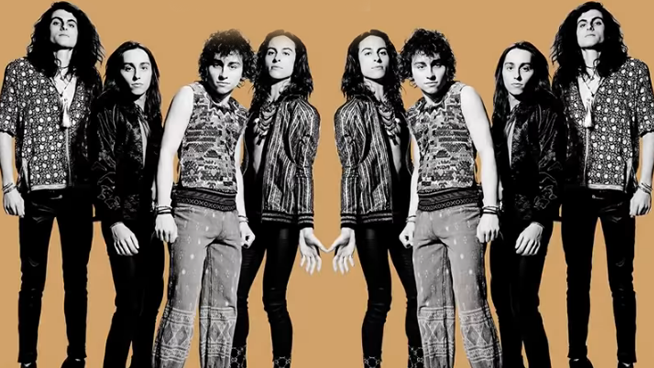 Follow Greta Van Fleet here. At the Half Moon Bay Airport! RECAP: Lamont & Tonelli: Dirty 30 – Were you there?